I get so excited for gardening season at this time of year that I can barely contain myself. Even though we can get some pretty cold wind happening out here, I find myself always trying to think of little things I could do to get a jump start on my spring gardening and make my yard just a little bit better this year. Of course, every year is the year that I think things are really going to start coming together the way I have envisioned them in my mind, but I have to say that this year we actually are really on the ball with all this gardening stuff. We did a great job of our fall clean up last year, so now we’re pretty much ready to go any time that we can start planting! Of course it’s nice to have a whole wall of different tools to choose from for different exact purposes in the garden, and honestly I get a little too excited around the hand tool section of the garden center when I find something new that I’ve never seen before, but for early spring garden set up and preparation, a few good basics will take you a long way. Everything on this list is probably pretty self-explanatory, but you may be wondering about the bench grinder. 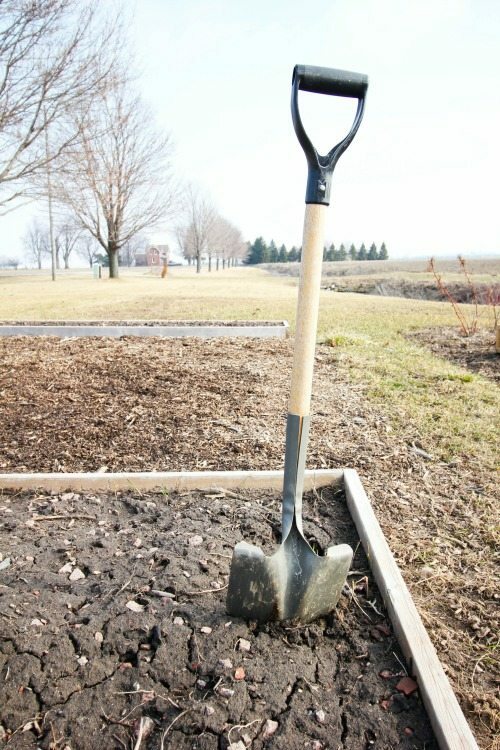 We’ve found that above all other tools, the basic hoe is the one we definitely use the most for all kinds of weeding, working the soil, and just general clean up around the garden, BUT it’s really only as helpful as its blade is sharp. They don’t sell them sharpened in the store, so if you’ve picked one up and found it to be not very useful to you, that might be why. You gotta sharpen that thing! 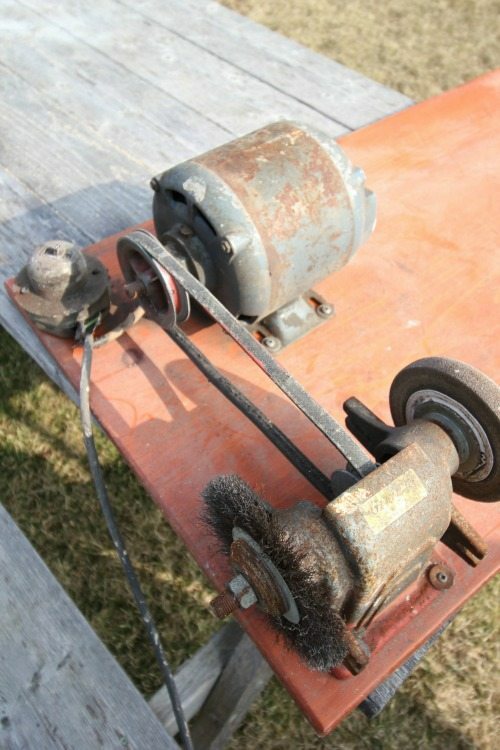 We use this old bench grinder that we inherited with our garage to sharpen our hoe, but the one pictured above with all the other tools looks more like one that you would buy new. Don’t worry, we don’t keep it plugged in to the wall in between uses! I know that wiring looks a little, um, quirky. 🙂 Still works though! 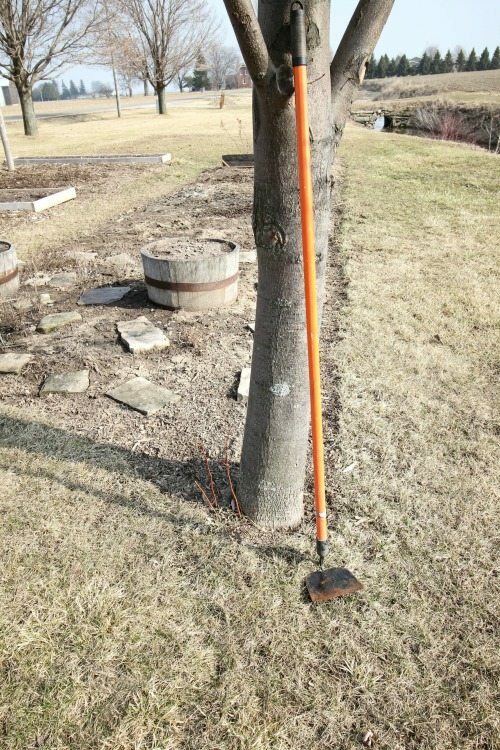 One of the biggest challenges in getting out into the garden in spring is that sometimes it can be hard to know where all your tools are after a long winter. 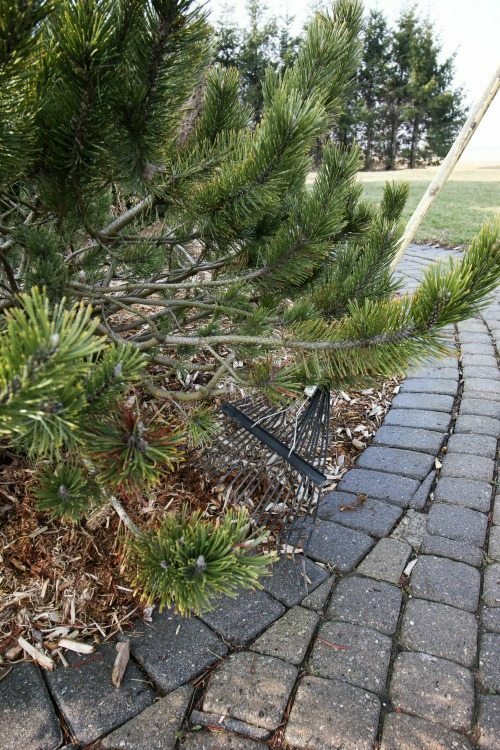 Your gardening tools can tend to get buried in the garage under a pile of stuff that was tossed in there during the winter and that can cause you to feel like you have to clean out the entire garage before you can even start getting to your gardening. I’m speaking from experience here! 🙂 If you’re going to have to go finding all of your stuff this spring, why not do yourself a little favor and get yourself set up so that this doesn’t happen again next year? We got about halfway through with completely rebuilding all of our workbenches and storage areas in the garage last fall before it got too cold to work out there, but we did manage to get the garden tools neatly put away, thank goodness! Hopefully we’ll be able to finish that garage up and show you soon! Here are a few really simple and helpful tool organizers. 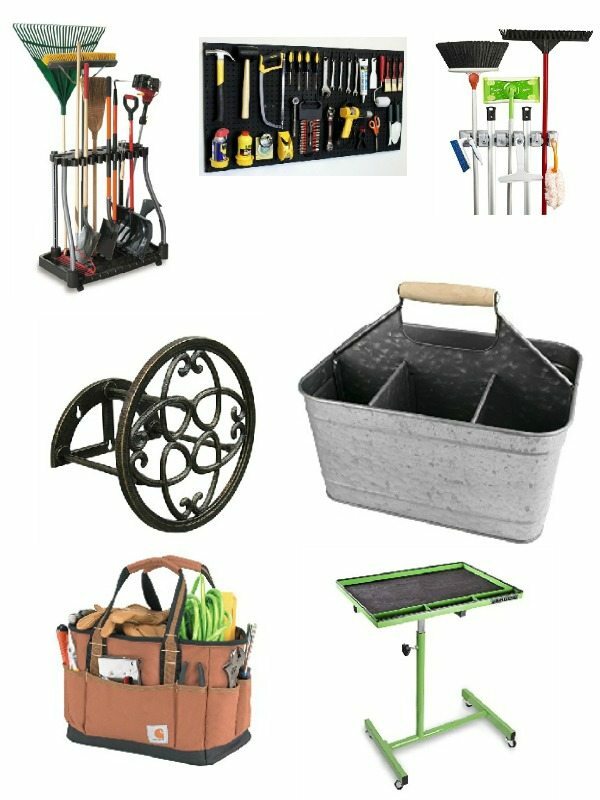 I think any one of these would go a long way towards helping keep your garden tools neat and tidy for a long long time. One of the things that I find that hardest about getting myself outside in the early spring is that it can be really cold and uncomfortable out there! Even if the temperature is pretty fair, the spring wind and all the extra humidity can make it feel really chilly. 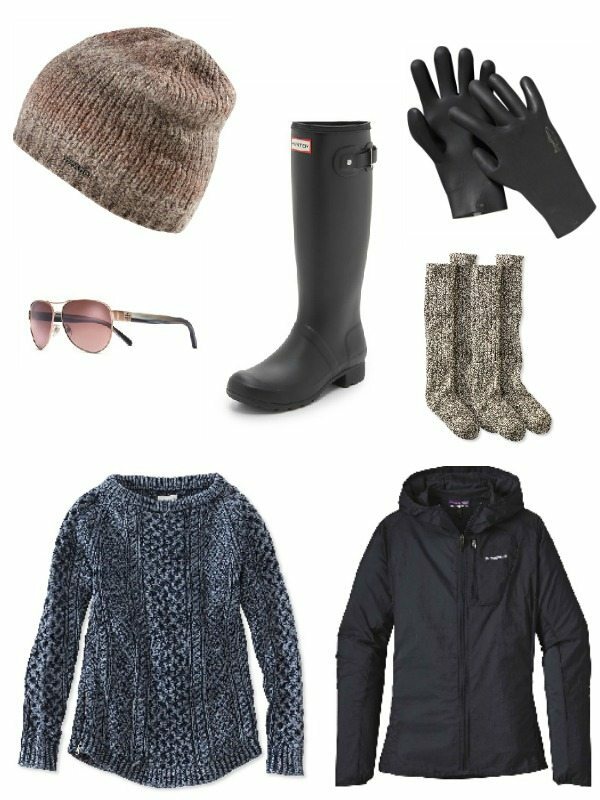 This can lead to me feeling like I can’t spend as long as I’d like to outside, at least not comfortably, so I’ve learned to make setting myself up to be comfortable a big priority at this time of year. If I’m comfy and cozy, then I never want to come inside! 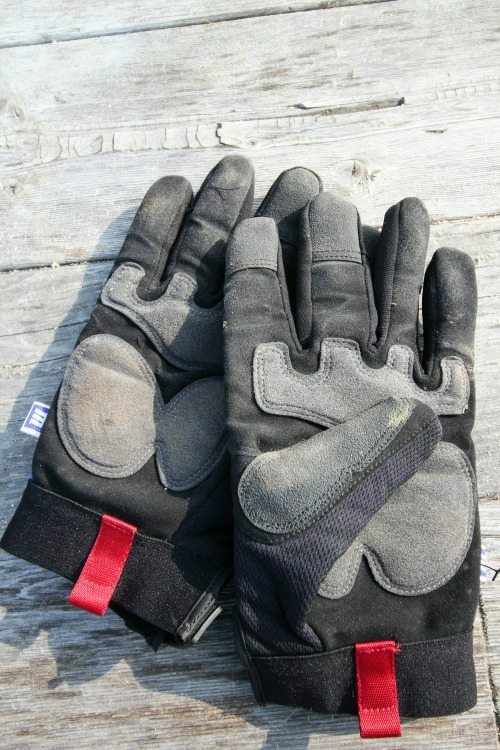 Gardening gloves really make a huge difference and if you’re having a hard time finding some that you really love, consider looking into mechanics gloves or even ice fishing gloves. They’re usually a little heavier than regular garden gloves so they keep your fingers warmer, more protected, and drier. We use regular garden gloves more in the summer months and mechanics and fishing gloves in the spring and fall usually. 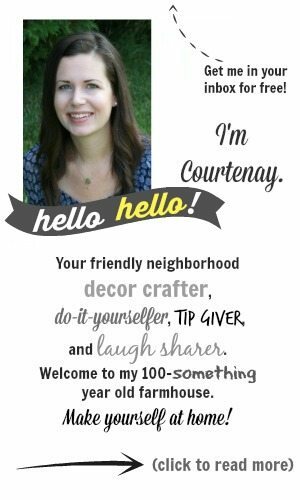 So those are the things that I’m thinking about as I’m starting my early spring gardening this year! Have you had a chance to get outside and start digging yet? I can see you have put a lot of time into this post as it is packed with so much information. I have a number of garden tools e.g spade and was considering how I could sharpen them. 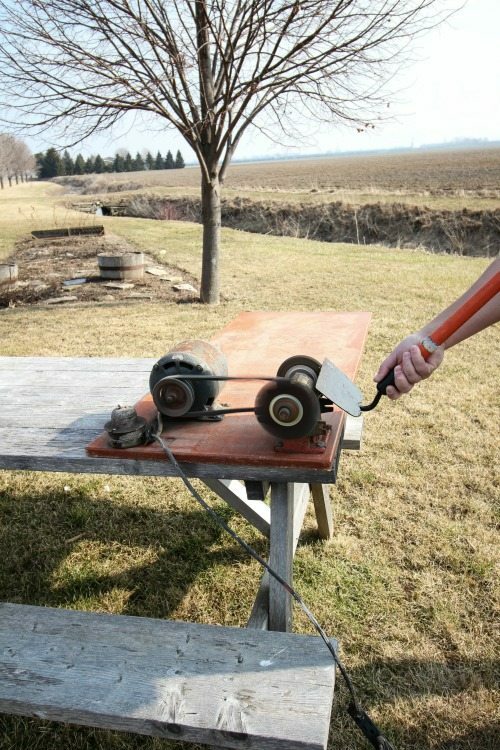 It looks like my idea of using a bench grinder would do the trick as you’ve mentioned it in your post. I’ll make sure I wear gloves and some eye protection though, thank you! Just what we needed for the Spring! 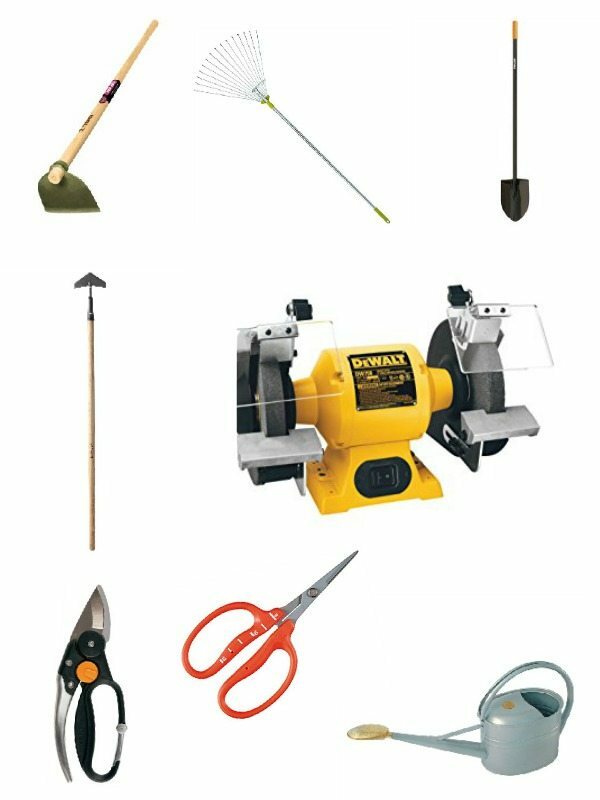 Thank you so much for putting this list of gardening tools together.